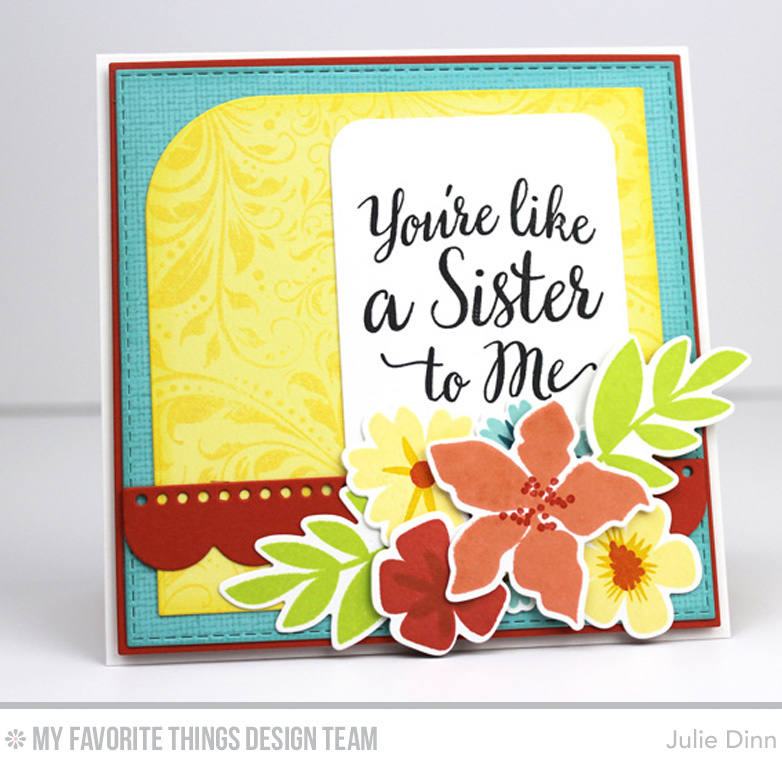 I paired it with a few of my favourite new items from the release, the Modern Blooms stamp set and Die-namics, the True Friends stamp set, and the Garden Flourish Background. 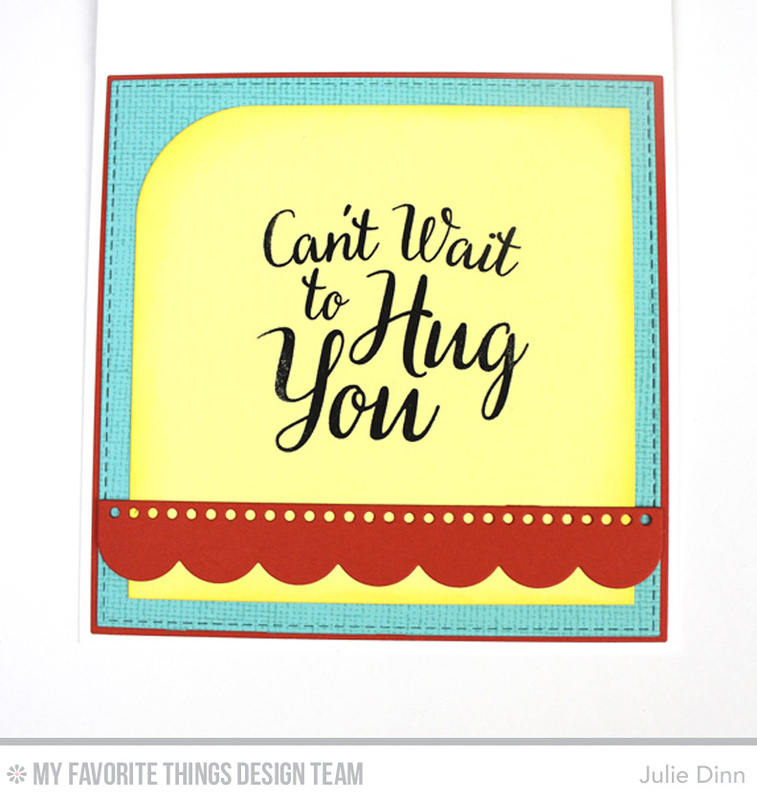 On the inside of the card, I stamped another sentiment from the True Friends stamp set. Thanks so much for joining me today. Be sure to check out the MFT Blog to see what the rest of the design team has to share with you. Funny! You and Jodi were on the same wavelength, just different color schemes!